ZT for Kids! : Tangled Tee! 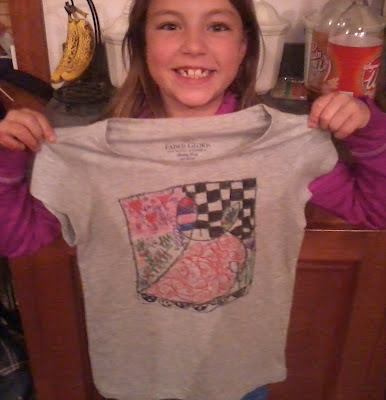 This is a shirt that my granddaughter Zentangled. I was amazed. Her name is Brooklyn Lentz, she is 8 years old. She used Sharpie Fabric pens . The night before, we zentangled for 3 hours. When she woke the next morning she did the shirt on her own. 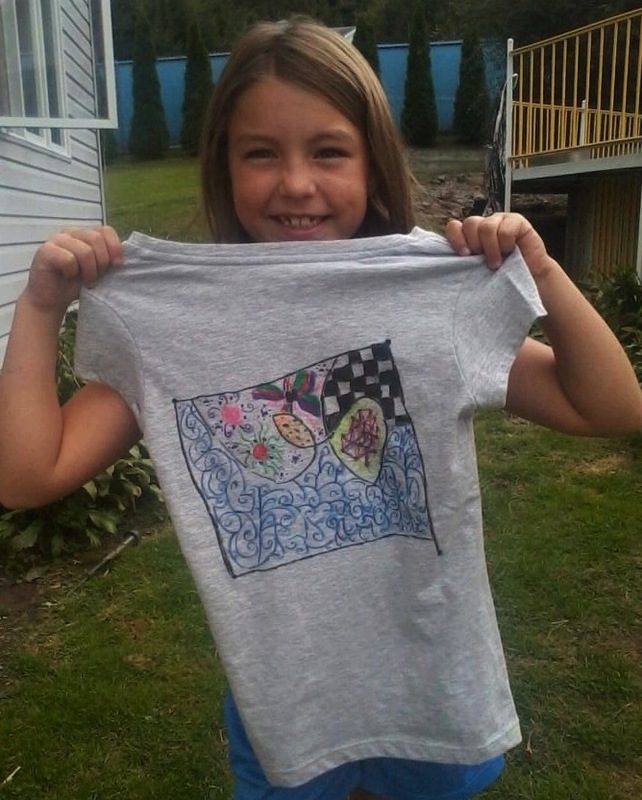 We discussed all the things we could zentangle - guess she was paying attention. My other grandson is always making up "his" own zentangles! I have all my grandchildren doing them. I didn't realize that so many people are doing them too. I am trying to contact a local certified Zentangle teacher to go to. Remember, if you are looking for a Certified Zentangle Teacher in your area, check out the ever growing list on Zentangle.com. There are hundreds in the United States, and quite a few in Canada and Australia too! What a fun idea. This looks great. TFS. what a great job brooklyn did! her shirt looks wonderful! way to go, girl!